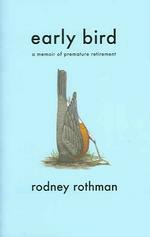 Early Bird by Rodney Rothman - Rothman, a former writer for Letterman, finds himself unemployed and decides to head to Florida to see what retirement is like. What follows is a screwy yet sometimes poignant account of his adventures among the denizens of a huge retirement community. I enjoyed this book. It was a quick read but quite funny and touching in some respects. Rothman doesn't disrespect his elders (unless they truly deserve it). In fact, he begins to fit in so well, he has to look in the mirror to remind himself that he's only 28. What's amazing is how uniquely different the South Florida retirement scene is in comparison to the rest of the world. Being from Florida, (Pensacola) one sees quite a few transplanted Yankees but not to the degree that Rothman experiences. It's as if whole neighborhoods in NY just up and move to Florida. 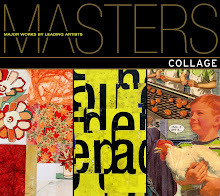 It's quite a different culture and Rothman sheds as much humorous light on it as he can. I recommend this book wholeheartedly, not just as an easy read but as a quirky insight into the minds of some of our nations seniors. One day, it will be us. Perhaps this can help to prepare us in some way.